THIS PIECE RECENTLY SOLD. I WOULD BE DELIGHTED TO MAKE ANOTHER JUST FOR YOU! 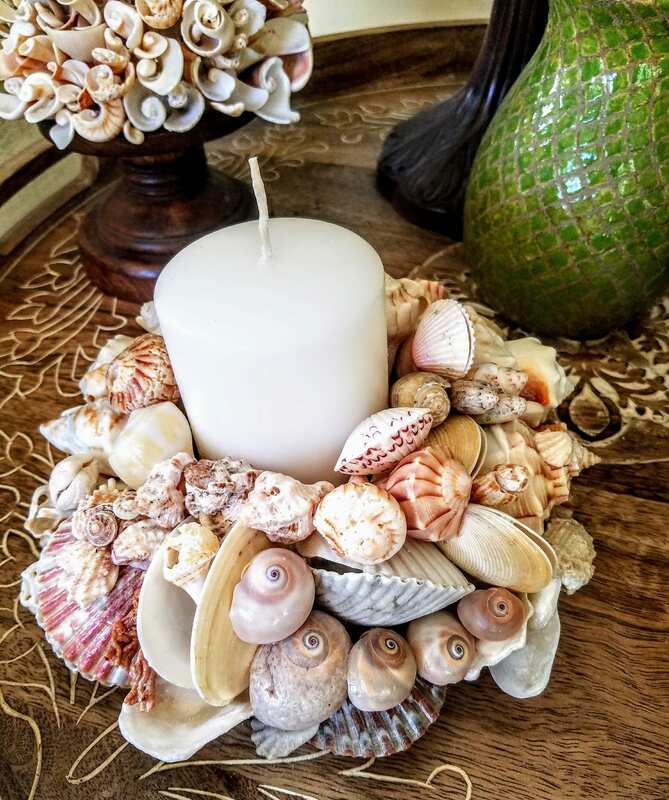 Lovely, signature seashell blossoms centerpiece with 3 tiers of cascading beauty! 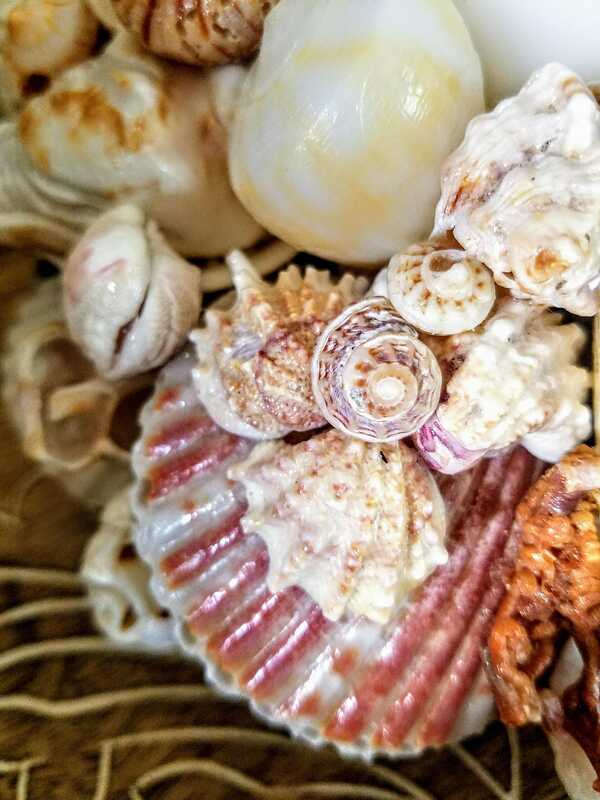 Ribbons of Shark Eyes, Apple Murex, Lightening Whelks, Lettered Olives ands Spiny Jewel Box intermix with fossilized Florida Conchs, two sided Scallops, coral pieces and seashell "blossoms"! This is an amazing example of functional art! 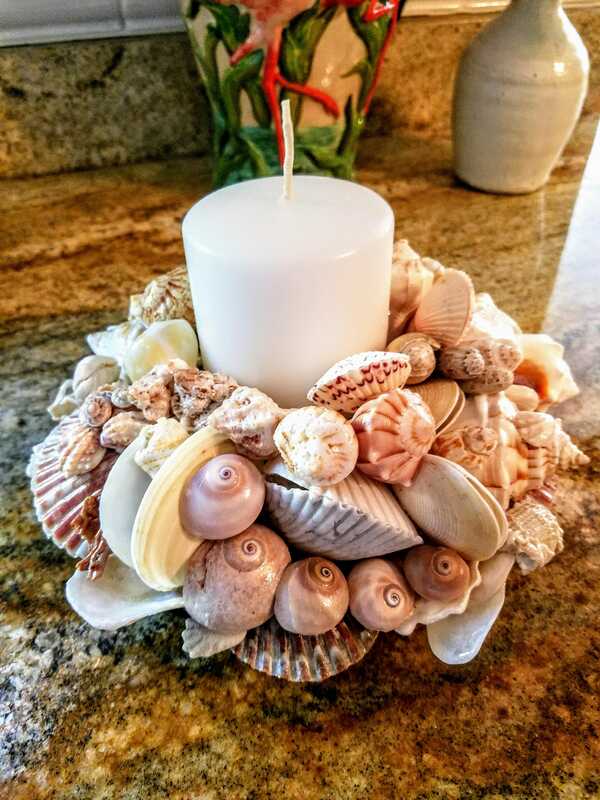 Suitable for endless possibilities including stunning addition to any coastal design theme, wedding gifting or wedding reception decor. 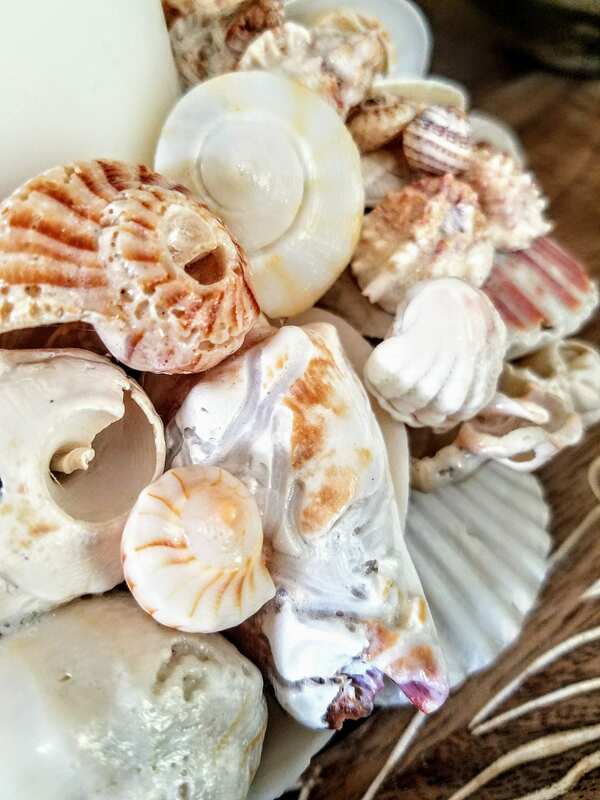 Purposely monochromatic seashells in neutral tones make it at home in the company of shabby chic decor but in no way limited; no matter where you choose to to place it, you will soon discover the addition of a conversation piece that will command attention to it's extraordinary beauty and unique qualities. 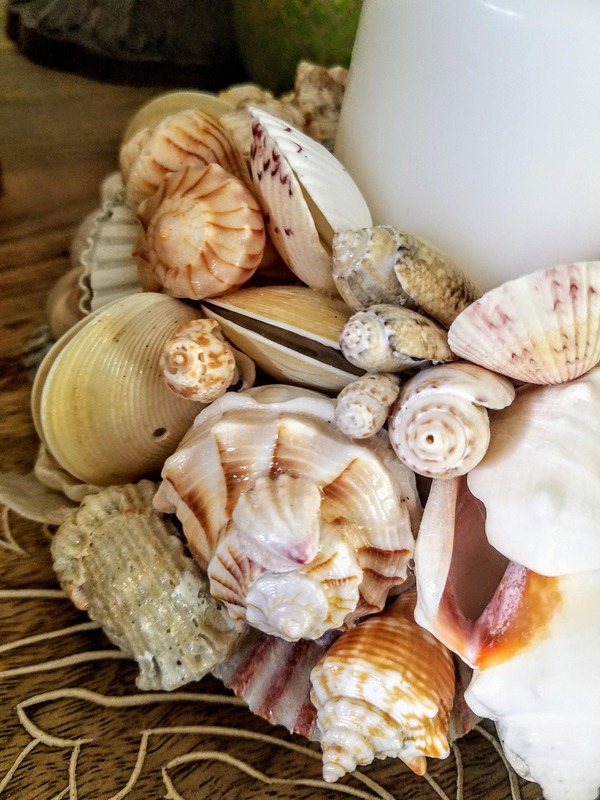 ALL of the seashells were personally collected from my private island beach and abandoned by their former inhabitants. It measures approximately 10" in diameter x 5" tall. It supports a 3" to 6" pillar candle. 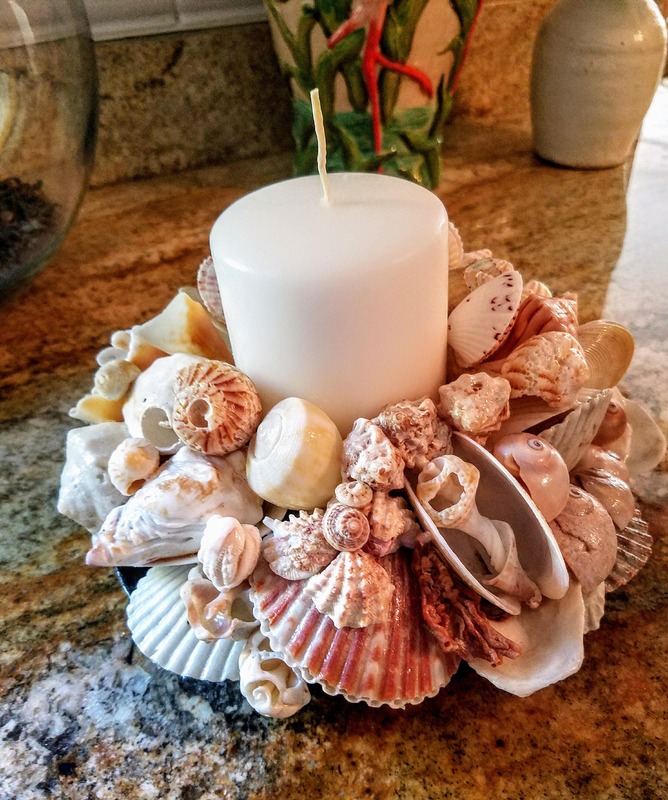 The seashells are perched above a metal, powder coated base, raised above 3 small ball feet. Coated in clear sealant for shine and ease of cleaning.